At Open Mind Therapy we provide psychotherapy and counselling treatments covering a wide range of issues. Individual counselling offers you a safe space to talk freely and deal with any issues you may be having. Open Mind Therapy provides one to one counselling for adolescents from 16 years old. Experiencing difficulties in your life? Having difficulties in your relationship? Experiencing trauma from your past which is still causing you pain today? The above are common experiences where seeing a counsellor can help. Life can be difficult and sometimes we are overwhelmed by thoughts and feelings. We may feel alone or overburdened with life’s events. Therapy offers you a safe space to talk freely and deal with any issues you may be having in a non-judgemental environment. This is why we are here. Engaging in therapy will allow you to better understand your problems and enable you to work through them. We provide counselling services in Naas, Sallins, Newbridge, Kildare and surrounding areas. We have two fully qualified counsellors currently working in our practice, Annmarie Gray and Gillian Dowdall. Click here to find out more about our two counsellors. 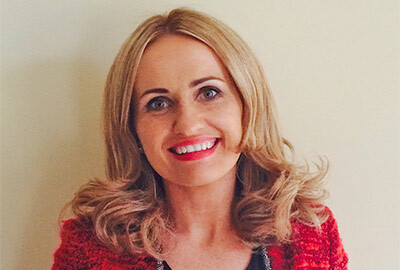 Annmarie Gray is a fully accredited Counsellor & Psychotherapist with the IACP. She holds B.Sc Honours from Middlesex University, a Diploma from PCI College and also a professional certificate in C.B.T. Annmarie is also a full trained EMDR therapist. Copyright © 2018. Open Mind Therapy. All Rights Reserved.